Powerfully transform your body with my delicious, healthy detox plan designed to naturally rev up your metabolism and end fatigue once and for good. The only detox plan on the market created to fuel your body with my holistic, integrative approach to detoxing, nourishing, and eliminating fatigue and suffering within your body – in as little as 14 days. You deserve to finally feel healthy. You’ve travelled a long road to end up here, suffering from chronic fatigue, uncomfortable digestive upset, unwanted weight gain, and absolutely no known remedy that could put your body on the mend and fit into your busy lifestyle. You’ve felt confused and lost while reading most books all alone, with nobody to turn to that could answer your questions, and not one person to listen to your important needs. You’ve had no choice but to keep up with your mundane routine, surviving on caffeinated drinks just to get your through, and truth be told at the end of the day you simply crash – all to wake up and repeat the process again in the morning. I know what you’re going through because I personally struggled with chronic fatigue for years. Lifting my head off the pillow in the morning never came easy for me, I survived – just like you – on my daily coffee buzz, and as it turned out that pattern of “get me through” only made me crash harder. I took a long journey to get here, which I’ll tell you about later, but I want you to know that for a long time you and I shared the same desires. Ditch the horrible belly bloat caused by too many ready-meals, on-the-go snacks and quick pick-me-ups. Get your energy back, so you can crush that go-getting lifestyle like a pro. Say goodbye to exhaustion, mid-afternoon slumps and the 3pm crash, without having to chug a venti latte. Release the toxins and flush your system, making it easier to lose weight, get healthy, and have glowing, beautiful skin. You don’t know how to feel healthier because you have no time to search for the answers, and you’ve got even less time to create a plan that can get your body on track. Is your go-go-go, crazy busy, always on the move lifestyle preventing you from looking and feeling fabulous? Trust me, I know where you’re coming from. I’ve lived the hectic, high-powered life, swamped with one hundred responsibilities and only myself to rely on to do it right. It can be a super-rewarding lifestyle, for sure, but it can be an exhausting one, too. I’ve felt the fatigue, the exhaustion, that feeling when you wake up tired. I’ve dealt with the mid-afternoon slumps, fuelling myself with candy bars and strong coffee. I’ve felt the brain fog creeping in after one too many checks on my to-do list. I’ve experienced the weight gain, the slowed-down metabolism, the loss of energy and the reduced immunity to every bug out there. I also learned how to turn that around, get my body and mind fuelled right… and to do it without giving up on the lifestyle that I love. 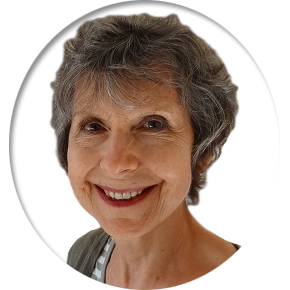 a former nurse, holistic nutrition and health coach. I’ve always been an advocate for healthy bodies. After my experience with doctors who were unable to fix my chronic symptoms, I took my health matters into my own hands. I did the research, tried all the diets and treatments, and applied every approach possible until I found the one that worked. I’ve spent the last twenty years helping my clients discover the root cause of their health issues, eliminate unwanted symptoms, and achieve their health and wellness goals naturally. I’m sharing my secrets with you, so you can look and feel amazing, and do it in your own time, at your own pace. Nourish your body and mind so you can keep up with life’s high demands! Detox your body in a delicious way and get rid of up to 5-10 lbs in toxins! Wake up feeling energized, ditch the mid-afternoon slump, and wave goodbye to sugary pick-me-ups! Feel and look fabulous again, just like you deserve! A simple, wholesome plan that suits your hectic lifestyle, and that gives you vitality, confidence, and a road map you can follow day-to-day to reboot your body. Accountability and support from me, your holistic nutrition coach, when it fits into your schedule. Getting rid of cravings and fuelling your lifestyle with delicious seasonal foods that recharge your body, with no deprivation, and results in as little as 14 days! First, we get rid of all those processed foods, dairy, wheat, soy and sugars that rob you of nutrients and leave you exhausted. Next, we start nourishing your body with good, wholesome foods that serve you, giving you the natural high-octane fuel you need to conquer your schedule. It’s simple: I’ve laid out all my entire routine, and you can follow it. All you have to do is download a plan to your device, go shopping and prep your meals… and you can do it in your own time – it’s designed to fit even the craziest schedule! Are you done with the overwhelm? I’ve worked with so many women who say their number one problem is TIME. But they don’t lack the time to take care of themselves, they lack the time to spend hours, days or even weeks searching through all the conflicting information about healthy eating and healthy living. That’s why I created this program, to take the guesswork, the hours and hours of research, the planning and the prepping out of healthy eating. You just follow the plan I’ve already laid out for you, and reap the rewards! You don’t need to spend all your time figuring out what to do. We eliminate all those “problem” foods that cause no end of issues with your digestion, health and immunity, and that cause you to pile on the pounds - usually in toxins! Your body gets all the support it needs from good, wholesome, nourishing foods to cleanse your system of up to five to ten pounds of toxicity - all the junk you’re carrying around with you. We slowly start reintroducing these foods during the transition phase, so we can figure out what foods are the best for your body, activity levels, lifestyle and unique health needs. You embrace a wholesome, healthy and nourishing way of eating that gives your busy lifestyle the high-octane fuel it needs to keep you going, thriving and flourishing! Want to know what happens when you eliminate all those toxin-filled foods? You get all-day energy - no more mid-afternoon crashes or brain fog. You lose the excess weight you have been carrying around - because your body is getting the nutrition it needs, and using it like rocket fuel! You stop craving sugar - instead, your body starts desiring vitamin-filled, healthy, nutritionally dense foods. You learn how to support your gut - and with good gut health comes good overall health. You gain mental clarity - sweep those brain fatigue cobwebs away and start functioning at optimal capacity. You get great sleep - that means you wake up in the morning feeling rested and refreshed, instead of desperate to hit the snooze button a few more times. Your bowels start working properly - eliminating all the waste and toxins from your system efficiently and effectively. You stop with the yo-yo diets - consistency is key, and what you get here is steady, healthy, sustainable weight loss with a lifestyle plan that works. Your immune system gets working better than it has for years - you quit being a landing pad for every germ, bug, virus and sniffle that comes along… plus your body is better equipped to handle more serious health issues. Your skin, hair, nails, and eyes all get brighter, fresher, cleaner, and stronger - you look younger, healthier, and feel it, too! Your metabolism goes into fat-burning mode - when you’re eating the right foods, your body uses every last calorie, every last bit of protein, fat and carbohydrate in those foods, and when those are used up, you can say goodbye to holding on to unwanted weight. Crash diets, fads, trends, they all have one thing in common – big on the promises, low on the delivery. You might even lose a ton of weight at first, but those cravings come back to bite you, your metabolism slows down, and next thing you know, you’ve taken two steps back for every step you took forward. I don’t want that for you. I want you to cleanse your system, lose weight, and get healthy FOR LIFE. I want you to reclaim your energy-filled healthy body and enjoy the life you’ve been blessed with. I want you to have the chance to feel free, beautiful, healthy and revitalized… and I want to help you fit this into a crazy-busy lifestyle, too! Isn’t it time you took care of yourself? Every day, I speak to women who desperately want to reclaim their health and well-being, but who simply don’t have the time. All the programs they can find require them to take part in hour-long webinars, lengthy discussions, focus sessions… all things that take up their precious time. What these women want is something they can pick up and run with. They want a program that works for their busy lives. It’s virtual, so you can access your materials, the online support group, and my coaching right away, and do this from anywhere in the world at your convenience. It lays out every step you need to take daily: meals, shopping lists, handouts, and daily detox tools all set out for you. It’s loaded with recipes - more than 50 of them - so you never feel deprived or bored. No starvation on this detox! It was created for busy people who want a concrete plan and a step-by-step guide. I've done all the work for you. Now you just need to come on board. 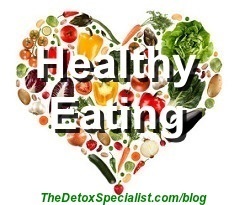 "Thank you for writing such a brilliant book on Detox, I have really benefited from it. Before I went on the diet I had been locked into a vicious circle of comfort eating, mainly sweet things and had become very depressed. I had obviously put on weight, had no energy, no motivation, and generally felt low. I started on the detox and within 2 weeks my craving for sugar had gone, and started to feel my old self again. I can't believe that detoxing can work so quickly. Thanks again"
Foods For Beauty Guide: this bonus e-book will help you choose the perfect foods to naturally enhance your beauty. 5 Fruit Infused Drinks To Hydrate Your Cells: you’ll enjoy delicious recipes to help you stay hydrated and reduce your cravings. 5 Iced Teas To Release Toxins: these recipes will support your body to naturally eliminate toxins and help improve weight loss. Antioxidant Rich Desserts: because eating healthy doesn’t mean you need to be deprived, enjoy these delicious desserts that’ll satisfy your every craving. Advanced Support Tools For A Healthy Detox: if you’re ready to take detoxing to the next level for even more results enjoy this compact ebook that will teach you everything I know about detoxing and supporting your body. Ultimate Skin Clarifying Bedtime Routine: this bedtime routine is here to help you focus on recharging your body so you can feel energized in the morning. You do this at your own pace, when it suits you. There’s no schedule you have to follow – this program is designed for busy women who want an instant-access, user-friendly guide to health and weight loss. There’s no rigid timetable – this program works according to YOUR schedule, not mine, or anyone else’s. Click here to send me an email and I’ll get you the answer you need.